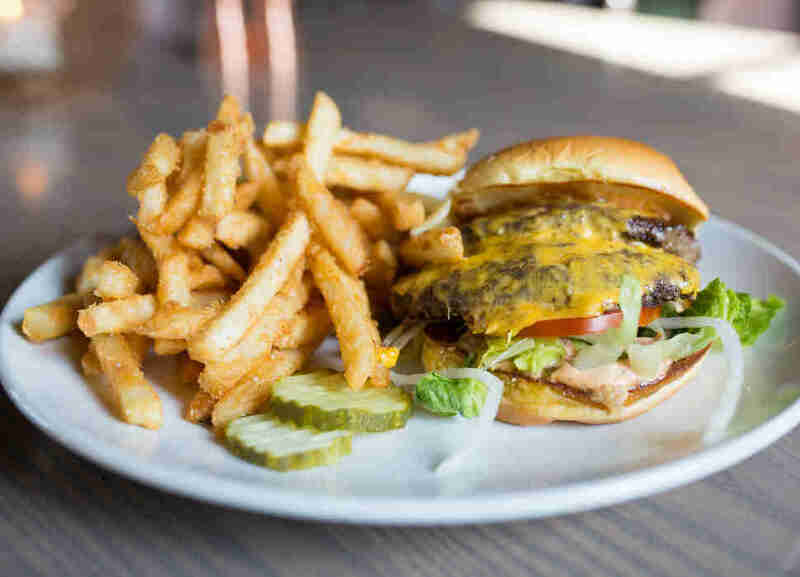 Editor's Note: This story is the 26th entry in Thrillist's Burger Quest, Kevin Alexander's yearlong mission to find America's best cheeseburger. Follow along @ThrillistBurgerQuest, and use #ThrillistBurgerQuest to let Kevin know places he needs to hit. I blame all of you. Why did no one tell me about the glory of Kansas City before now? This city, despite the confusing border straddling and the district named for places where rich people play golf, is an extremely underrated food town. Of course everyone knows about the BBQ, but the burgers are fantastic. 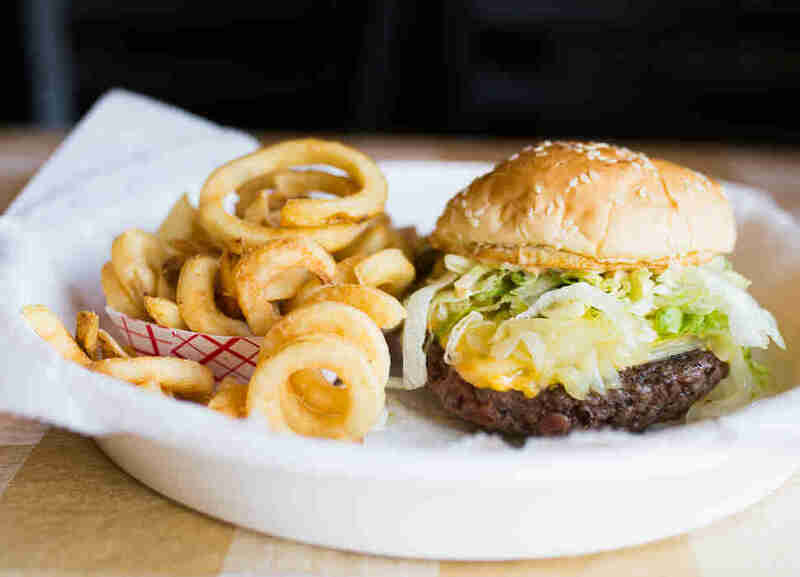 Before I came, I talked to chefs, locals, and KC expats I play soccer with, then narrowed down a long list of burgers to the eight most legendary in the city. Over the course of 36 hours, I ate them all, mostly by myself. 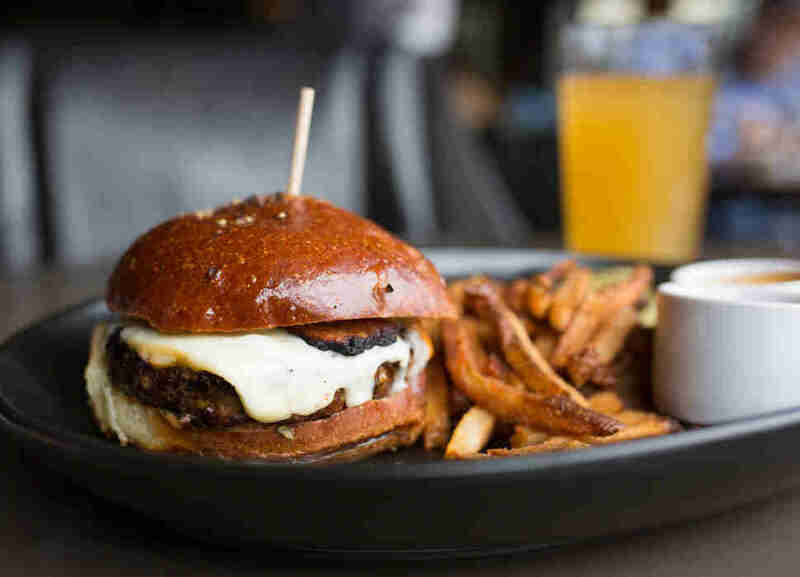 In case you’re new to my rankings, here are some guidelines: If the restaurant had multiple burgers, I tried to order its signature burger, or if that was too outlandish and stunt-y, the closest to a classic cheeseburger. If it came with options, I always picked American cheese and grilled onions. If you are a train enthusiast, this is the single greatest restaurant on earth: toy trains deliver your food on tracks located along the top of the restaurant. I didn’t know this when I walked in, and the manager saw that I was trying to sit at the bar and said, “The train doesn’t deliver there,” and moved me to a table. “The train doesn’t deliver there?” I thought, what the hell does he mean? But then he sat me at a booth, told me to pick up a corded phone when I knew what I wanted, and went back to the front. I’ve been all over the country, friends, and eaten over 300 burgers, and I never experienced a place like this (also, it should be noted that this is mostly a kid’s joint, and so it was kind of weird that I was here by myself). Anyway, while listening to that "Shimmy, Shimmy Ko-Ko-Bop" song, I had the cheeseburger. And while I noticed that the style was similar to the Oklahoma onion burgers, the execution was spotty. The grilled onions were nearly burnt, there was too much yellow mustard and not a ton of flavor in the super-thin patty, but hey, I’m pretty sure you’re here for the trains anyway. Country Club Plaza is exactly what you might think it is: a plaza across the water from the huge mansions in the Country Club District, which I’ve recently learned is where the rich people in Kansas City live (including Calvin Trillin and noted PGA golfer Tom Watson!). Anyway, Gram & Dun is, refreshingly, not a chain restaurant like most of the rest in the Plaza, but it’s kind of like a chain in that it represents the kind of hip, fine casual dining restaurant you now see all over the country. The House Burger plays on the idea of the upscale casual burger too with smoked American cheese and cola-braised red onions. There were good elements here -- the “imperial wagyu beef” had a good, loose grind, and the special sauce had some tangy, spicy notes to it, but like the neighborhood, the entire burger was too damn rich. The ridiculously thick-cut bacon combined with that rich beef and smoked cheese had nothing overtly acidic to cut down on the rich flavor. A stronger pickle element would go a long way here. The first of the four truly old-school burger spots I visited in KC, Humdinger has a fantastic old-school neon red and orange sign, and feels like a place I would’ve gone with my grandfather had he lived in Kansas City and personally known Hal McRae. As for the burger, it’s a traditional diner-style thin patty with good composition but nothing that really dramatically stands out. I could get into the nitty gritty here, but I’d rather talk about 1982 when McRae had 133 RBIs, 51 more than the next year! 51! Happiness is seafoam green vinyl booths, pink neon ceiling lights and non-Wendy’s chocolate frosties. 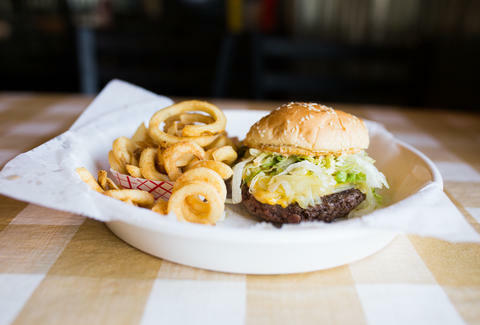 Winstead's is one of the classic KC places, a must-stop for nostalgia enthusiasts, but also a place with a pretty damn good burger. 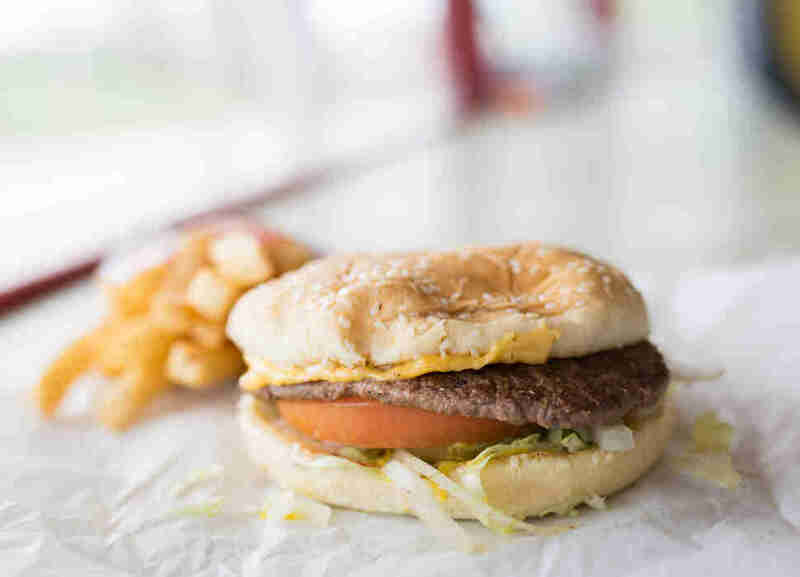 The patty is Fruit Roll-Ups thin, and subsequently lacks a certain amount of flavor, so you’re going to need to order a double. 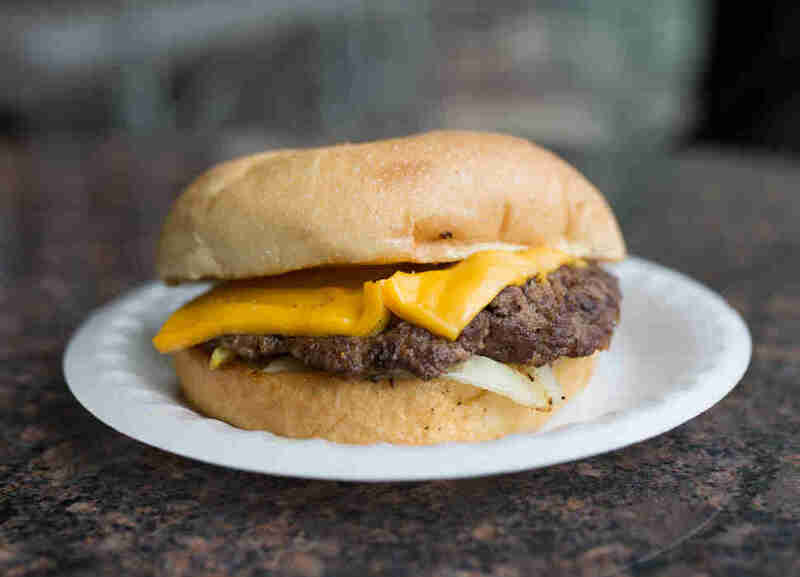 But there is incredible char, the bun melds nicely with the hot cheese and beef, and the onions are cooked in that buttery, peppery diner-style I love. Also, they put lime sherbet in their cherry limeade. Directly next to a Hardee’s and a McDonald’s, HiBoy, from the outside, seems like just another fast-food chain. But then you get inside and realize that HiBoy looks less like a fast-food chain and more like the trophy room of a high school gymnasium. Apparently HiBoy sponsors baseball teams, because there are photos of high school baseball players littering the place, next to glass cases filled with trophies. They even have baseball-themed wallpaper. But enough about the atmosphere, let’s talk about the burger. The signature HiBoy comes in a shiny silver envelope and has a thin patty with district ridges. It’s a flat and extremely wide burger, which reminded me a lot of Whataburger in Texas, but it’s better than Whataburger. The composure is great: The pickles and ketchup/mayo mixture offered a great sugar and acid balance to the cheese and meat; the shredded lettuce and chopped white onion gave some crunch and tang; and the bun was steamed enough to flatten out and stay nicely out of the picture (though it got a bit soggy by the end). The meat had good griddle marks and some salty flavor, but wasn’t especially remarkable. Despite that, this is an excellent burger, especially for the price. And I have to believe Hal McRae would approve of the interior. I live in California. And now that you know a LOT more about me, let me tell you that seeing an “Animal Style Burger” on any menu outside of the West fills me with a certain amount of happiness/curiosity. For that reason I trekked out to Lee’s Summit, which I now understand is the sixth largest city in Missouri and not just a suburb of KC. When I entered Third St, the Royals were on, and many, many middle-aged people in royal blue polo shirts were intently watching. I looked around to see if Hal McRae was there, but alas he was not. So I went and ate the burger. It was eerily similar to the In-N-Out version, but obviously with that upscale bent. The acid from the Thousand Island mixing with the shredded lettuce and tomato on the bottom (helped out by the addition of the side pickles) balanced out the rich and buttery caramelized onions. There was some serious Maillard reaction-style char on the patties, and a great toast to the buns. Honestly, I don’t have many complaints, except maybe the lack of Hal McRae or even Kevin Seitzer. This restaurant within the Summit owned by Lee is worth the voyage. Months before I got to Kansas City, whoever runs Westport Flea Market’s social media started subtly reminding me that I had to check out WFM when I came into town. When the date I originally put on the main Burger Quest story for heading to KC passed, I got more frantic tweets inquiring if I’d come. So first of all, let me just say: Yes, you’re damn right I came. Westport Flea Market is a wonderful and weird place, with a giant arcade (featuring something called Zoofari AND a football game where you can play as aliens!) on the side and an actual weekend flea market in the back. I ordered the smallest version of the burger, which is still pretty damn big, and when my order was ready, a man called my name and told me to dress the burger myself at the self-serve bar. I was pretty into it, so I decked it out with shredded lettuce, Thousand Island, and pickles. The sesame seed bun was perfectly toasted and thin and the patty was cooked exactly to my specifications: juicy, pink, and medium. You could see the loose grind, and taste the clean, meaty, salty flavor of the beef. The grilled onions were thin and melded to the sandwich with the cheese and bun. The toppings offered up great balance (thanks to me!?). All in all, Westport is an absolute must-hit. You’ll know you’re there when you see a car dressed to look like a giant misshapen burger. This is the place, friends. This is the type of place that made me want to do this trip. This is the type of place that -- despite having already gone to 28 cities -- keeps me excited about this quest. I got to Town Topic around 7pm on a Monday. Outside, four teenagers were filming their own rap video on a nearby roof and cautiously looking out for cops in between lyrical takes. I sat down at one of the few stools inside, ordered the cheeseburger, and watched it cook on the griddle. Three minutes later, the burger sat in front of me, steam rising off the top of the bun. My first bite made my eyes go wide. The grilled onions were nearly steamed in, Oklahoma-style. The cheese melding with the onions and the expertly griddled patty was nearly perfect, like watching Hal McRae swing a fungo bat. Bits of seared meat broke off the sides like Parmesan cooking in the oven. There is a little mustard and pickle to balance the beef, meat, and cheese but it never overpowered the flavor of the meat. I ate the whole thing, despite it being my fifth burger of the day. Yes I do, I told her. 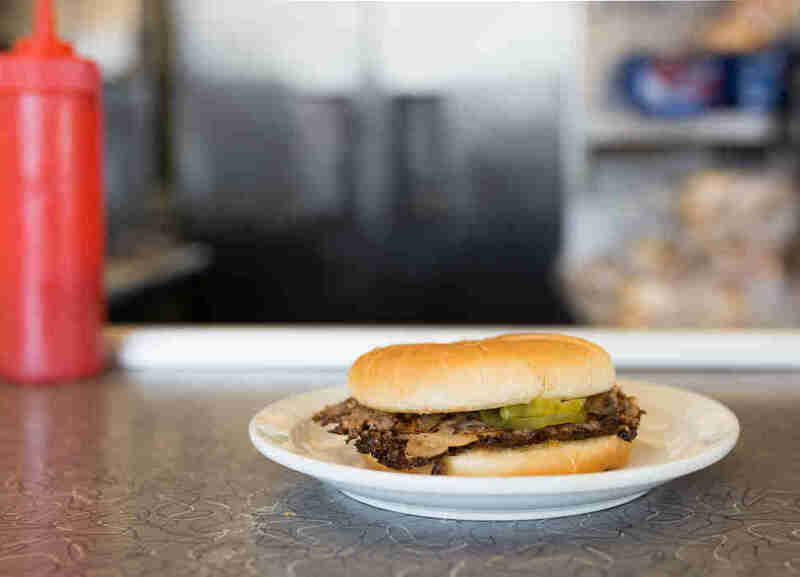 Because this is not only the best burger in Kansas City, it’s one of the best diner burgers in the country. Kevin Alexander is Thrillist’s National Writer at Large, chief burger critic, and biggest Hal McRae fan. Follow him to freedom/Twitter @KAlexander03.